In the IT world of cloud service providers the biggest fight has been between AWS and Azure. In the recent past AWS has been to use an automotive analogy, a McLaren F1. A nimble, light and incredibly agile car that could out accelerate anything, the world had no answer for this beast for a long time, 25 years in fact. In the IT world we experience time compression when it comes to progress and things change much faster. Recently in the cloud services space another player has been flexing its muscles and that one is Microsoft, I liken Microsoft and its Azure platform to the Bugatti Veyron. A big, heavy, strong and formidable vehicle that can crack 420 km/h on a good road. 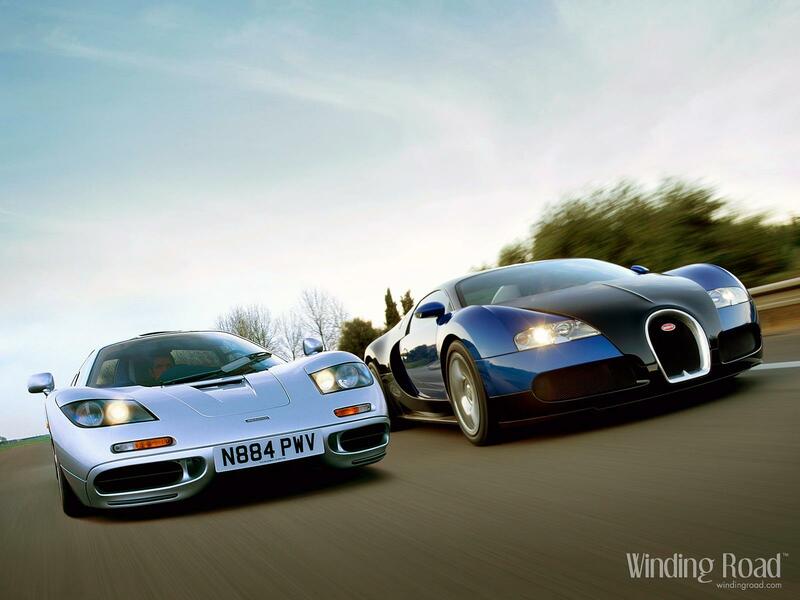 Lining these two rivals up against each other for a race will yield the following result; the McLaren will blast out of the blocks leaving the Veyron for dead in the initial part of the race, until the Veyron overcomes its inertia and the wind resistance with its 1000 hp and 1250Nm of torque. Over the distance the winner is the Veyron and by a good margin, 384 km/h vs 420 km/h. In the cloud services world the race between AWS and Microsoft Azure is playing out in the same way, AWS were the first out of the blocks and they were able to accelerate quickly and get a massive jump on everyone else, initially the world had no real answer. But the Microsoft Azure Bugatti Veyron has been getting into gear as of late and is starting to reel in the horizon…. and fast. The ever growing demand for these cloud services has now permanently shifted IT strategies for many organisations and it seems that CIOs are favouring the Veyronesque qualities of Microsoft’s Azure over Amazon Web Services (AWS), according to a survey of Chief information officers (CIOs) by JP Morgan Chase. According to the CIO’s that took part in the survey, they are predicting that more than 40% of their enterprise workloads, up from the current 16.2%, would move to the public cloud over the next five years. JP Morgan Chase also noted in the report, that this shift to the public cloud “shows no signs of abating and is likely to create a major ripple effect across the entire technology landscape.” The survey consisted of 207 CIOs with an average annual IT budget per firm of $600 million, together representing some $126 billion in enterprise IT spending every year. Amazon is the biggest cloud service vendor with revenue of nearly $8 billion. But the new report expects Microsoft to outpace Amazon as the demand for cloud service soars in the corporate world. Microsoft is far better placed than AWS to be able to build more flexible and integrated platforms that will interwine with the public cloud service offerings it makes available to the market. Although tempting as it is to jump in the car that races off first, the winner in the cloud services game will be the one that has the horsepower to keep accelerating over the duration of the race; and this is not a 1/4 mile run. And for the purposes of getting that chequered flag, I will take the keys to the Bugatti Veyron as there is no substitute for brute horsepower. The race is only just underway, but for my money in the end it will be Microsoft Azure and by a good margin.